Deutsche Telekom Goes For the Sky at AIX! Make sure to check out Deutsche Telekom’s exhibitions at the Aircraft Interiors Expo (AIX) in April! AIX is considered the most important place to be for the aviation industry, who are keen on learning about the latest ideas and innovations – including inflight entertainment, connectivity and passenger services. We’ll be present at a booth jointly hosted with Inmarsat Aviation. 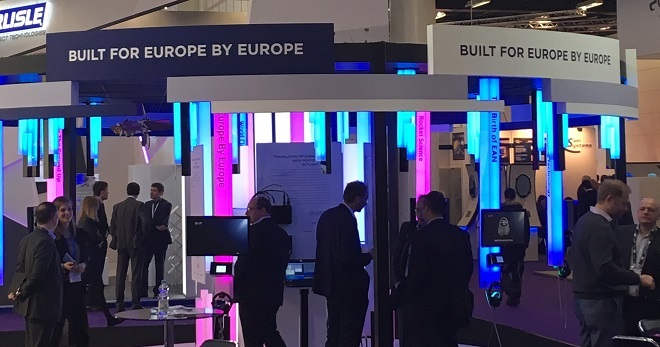 We are looking forward to giving you an overall look into our Inflight connectivity solutions and into the functionality and possibilities of the European Aviation Network (EAN). EAN is the world’s first high-performance broadband connectivity solution for the skies across Europe. It delivers a superior Wi-Fi experience by integrating satellite and ground-based LTE technology. At our booth, we will explain the innovations behind EAN and highlight some of the essential on-board devices, such as antennas. We’ll be there together with the partners that worked on the project with us – Inmarsat, Nokia, and Thales. We’ll also present our ISP services that accompany air travelers along their entire journey: Pre-flight, in-flight and post-flight. It begins with the ability to book internet access before a flight, follows them onto the plane with easy-log on via our app solution, and continues after the trip ends with intelligent reporting tools that boost customer loyalty. AIX will take place from April 2 to April 4 at Hamburg’s exhibition center (Hamburg Messe). Visit us at booth 2C30! Click here for more information about AIX.